Did you know that 75% of small business owners donate an average of 6% of their profits to charitable organizations annually? 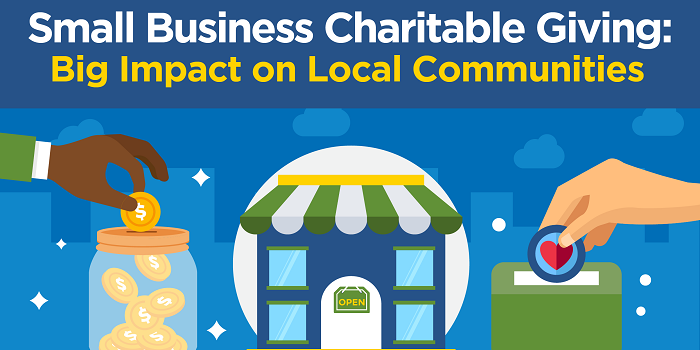 SCORE’s latest infographic, sponsored by OnDeck, highlights how small businesses’ charitable giving has a big impact on their local communities. Small businesses donate 250% more than larger businesses to local non-profits and community causes. How do small businesses support their communities? And 81% plan on giving in 2019. 85% of consumers have a more positive image of a company who gives to charity. 90% of consumers want to know how companies are supporting charitable causes. 93% of employees who volunteer are happy with their employer.